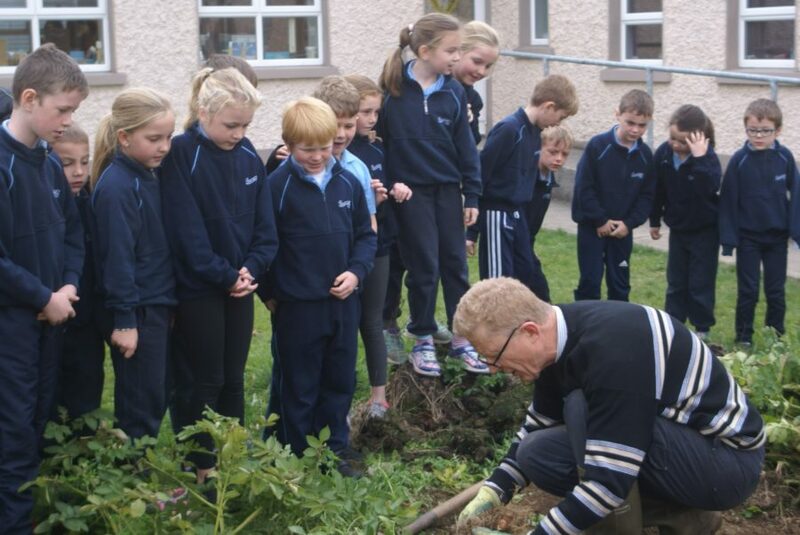 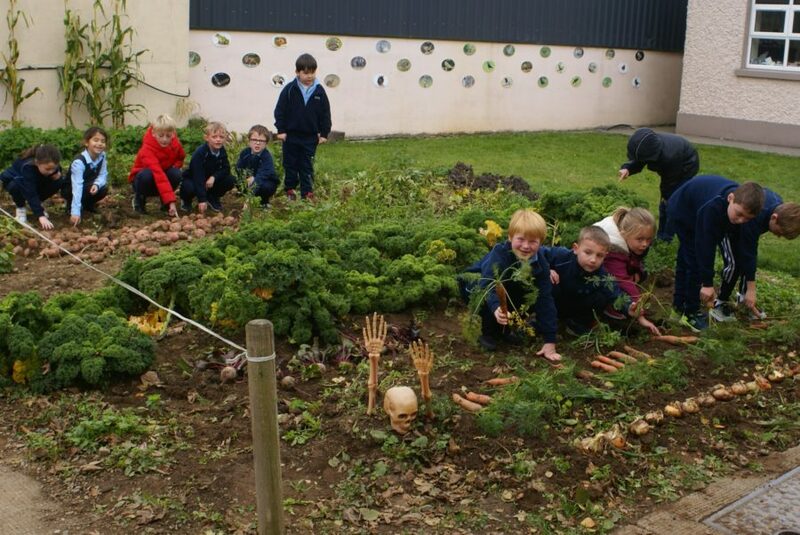 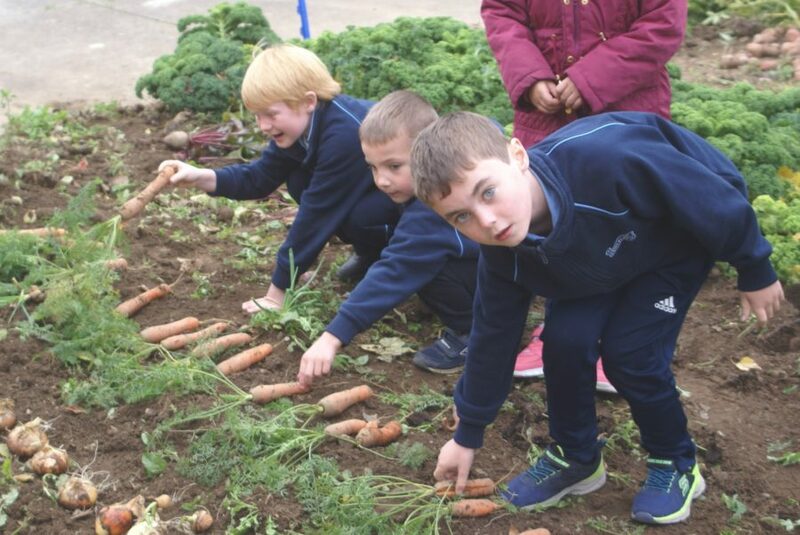 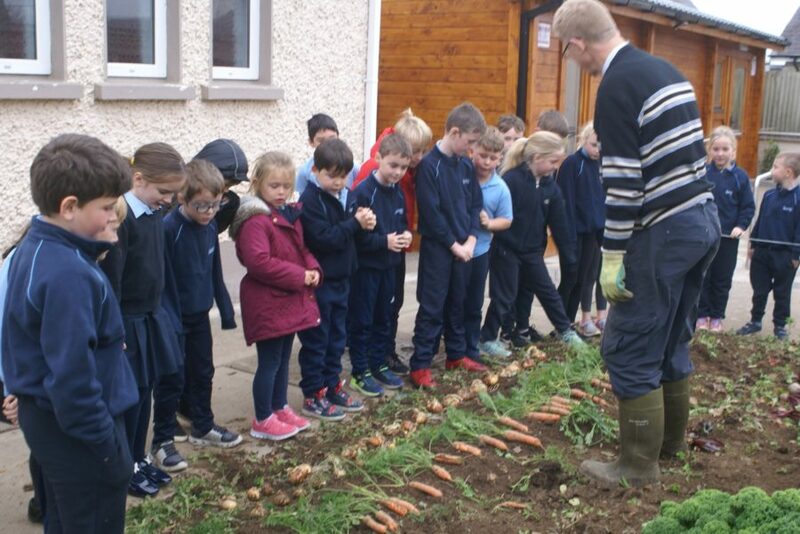 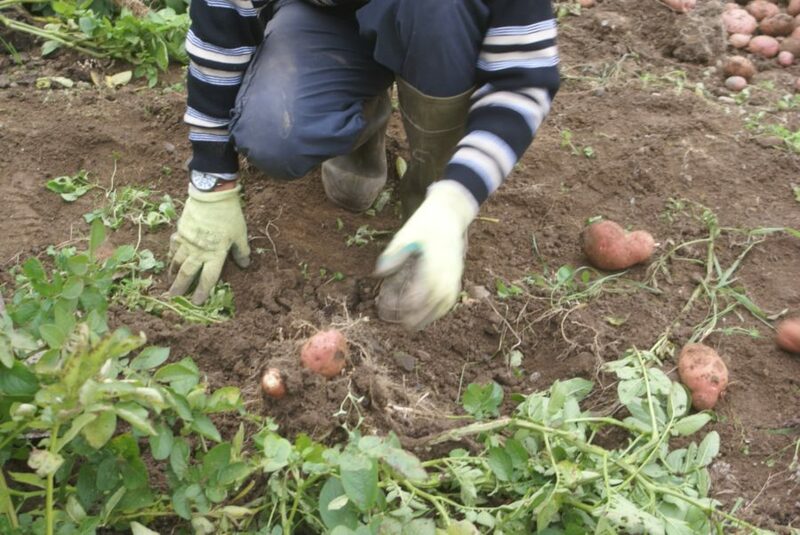 Mr Judge showed the Children what had grown from the different seeds of the vegetables they had planted back in March. 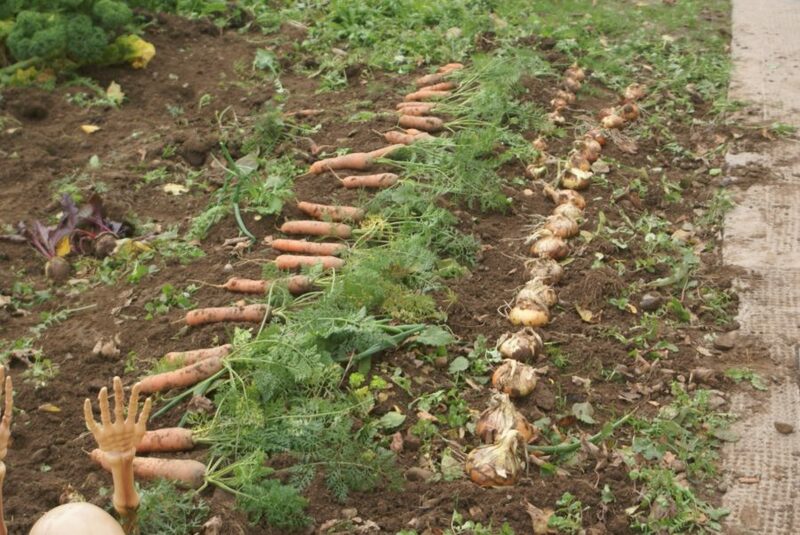 Lots of carrots, potatoes and onions had grown since then. 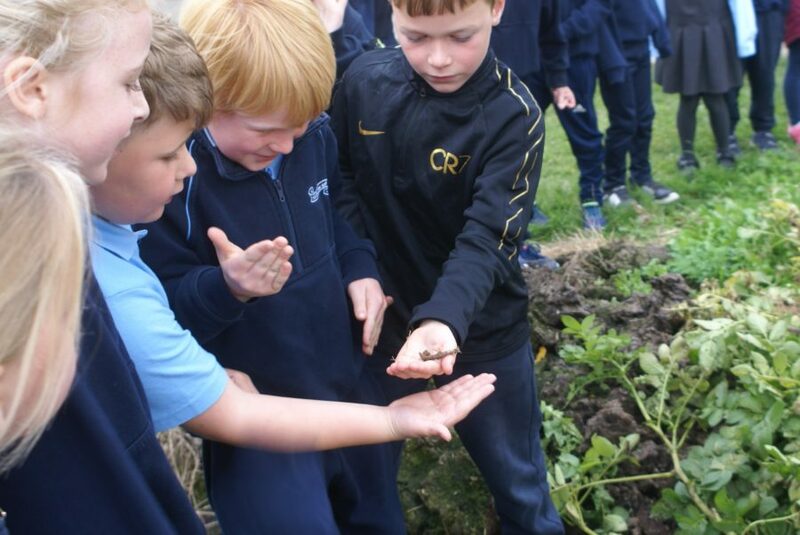 The children even managed to find a caterpillar!